Welcome to Butterfly Coins! (a.k.a. "we" or "us" or the "Company"). The following terms and conditions (together with any documents referred to in them) (collectively, these "Terms of Service") apply to your use of Butterfly Coins.com, including any content, functionality and services offered on or through Butterfly Coins.com (the "Website"). Should you disagree with some of the provisions herein, you can either leave the website, or contact us at hello@butterflycoins.org. Butterfly Coins is always under development, meaning that features and services can change frequently. We reserve the right to withdraw or amend, even dramatically, this Website, and any service or material we provide on the Website, in our sole discretion without notice. Also, we will not be liable if for any reason all or any part of the Website is unavailable at any time or for any period. From time to time, we may restrict access to some parts of the Website, or the entire Website, to users, including registered users. To access the Website you will have a user name, password or any other piece of information as part of our security procedures. You must treat such information as confidential, and you must not disclose it to any third party. You agree to immediately notify Company of any unauthorized use of your user name or password or any other breach of security. You also agree to ensure that you exit from your account at the end of each session. You should use particular caution when accessing your account from a public or shared computer so that others are not able to view or record your password or other personal information. To transmit, or procure the sending of, any mass advertising or direct solicitation material other than the legitimate sharing of cases. The Website contains user generated and uploaded images, videos, and content, and also may contain message boards, personal profiles, forums or other interactive features (collectively, "Interactive Services") that allow you to post, submit, publish, display or transmit to other users (hereinafter, "post") content or materials (collectively, "User Content") on or through the Website. We claim no intellectual property rights over the User Content or videos added to Butterfly Coins. Your profile and materials uploaded remain yours. However, by setting your pages to be viewed publicly, you agree to allow others to view, comment on, and branch your Content, and you grant us the right to use, copy, distribute and disclose to third parties any such material for any purpose. You represent and warrant that you own or control all rights in and to the User Content and have the right to grant the Company and its affiliates the license granted above.You represent and warrant that all of your User Content do and will comply with these Terms of Service, and you agree to defend, indemnify and hold harmless the Company and its affiliates and licensors for any breach of that representation and warranty. 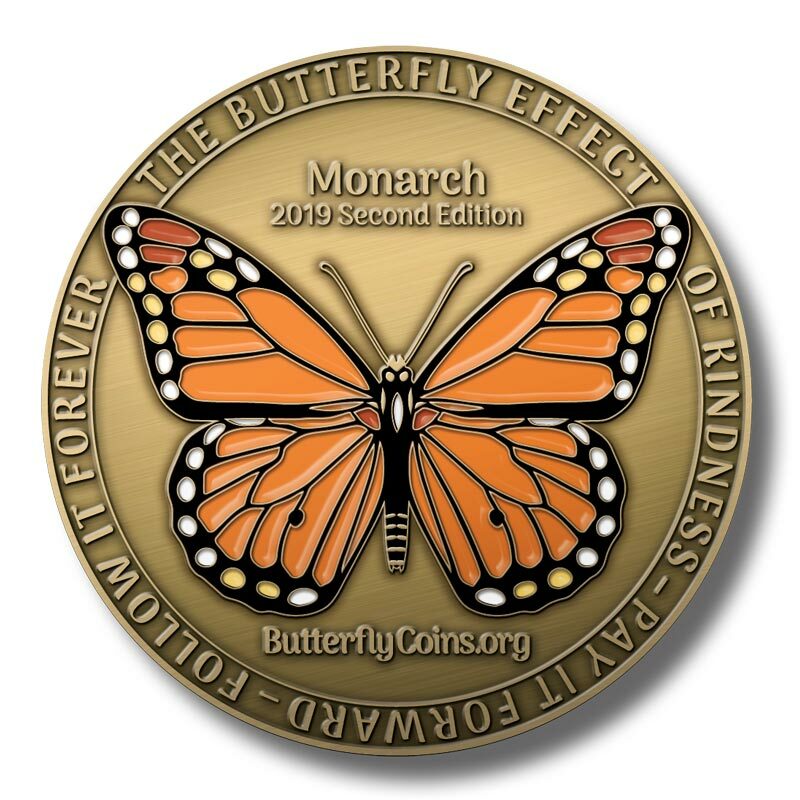 Any feedback, comments, or suggestions you may provide regarding Butterfly Coins is entirely voluntary and we will be free to use such feedback, comments or suggestions as we see fit and without any obligation to you. If you believe that any User Content violate your copyright, please email us at hello@butterflycoins.org for instructions on sending us a notice of copyright infringement. It is the policy of the Company to terminate the user accounts of repeat infringers, and we are in the process of setting up a DMCA compliant process for managing cases of infringment. You acknowledge that you have only a limited, non-exclusive, nontransferable license to use the Website. Your use of Butterfly Coins is at your sole risk. The service is provided on an “as is” and “as available” basis. In particular, you acknowledge that technical support is only provided and only available via email, in English; that we use third party vendors and hosting partners to provide the necessary hardware, software, networking, storage, and related technology required to run the Website; that the technical processing and transmission of the service, including User Content, may be transfered unencrypted and involve (a) transmissions over various networks; and (b) changes to conform and adapt to technical requirements of connecting networks or devices. You expressly understand and agree that Butterfly Coins shall not be liable for any direct, indirect, incidental, special, consequential or exemplary damages, including but not limited to, damages for loss of profits, goodwill, use, data or other intangible losses (even if Butterfly Coins has been advised of the possibility of such damages), resulting from: (i) the use or the inability to use the service; (ii) the cost of procurement of substitute goods and services resulting from any goods, data, information or services purchased or obtained or messages received or transactions entered into through or from the service; (iii) unauthorized access to or alteration of your transmissions or data; (iv) statements or conduct of any third party on the service; (v) or any other matter relating to the service. Butterfly Coins is based in the state of Texas in the United States. We provide this Website for use only by persons located in the United States. We make no claims that the Website or any of its content is accessible or appropriate outside of the United States. Access to the Website may not be legal by certain persons or in certain countries. If you access the Website from outside the United States, you do so on your own initiative and are responsible for compliance with local laws. These Terms of Service and any dispute or claim arising out of, or related to, them, their subject matter or their formation (in each case, including non-contractual disputes or claims) shall be governed by and construed in accordance with the internal laws of the State of Texas without giving effect to any choice or conflict of law provision or rule. Any legal suit, action or proceeding arising out of, or related to, these Terms of Service or the Website shall be instituted exclusively in the federal courts of the United States or the courts of the State of Texas. You waive any and all objections to the exercise of jurisdiction over you other courts and to venue in such courts. The Terms of Service constitutes the entire agreement between you and Butterfly Coins and govern your use of the service, superseding any prior agreements (including, but not limited to, any prior versions of the Terms of Service). If any provision of these Terms of Service is held by a court of competent jurisdiction to be invalid, illegal or unenforceable for any reason, such provision shall be eliminated or limited to the minimum extent such that the remaining provisions of the Terms of Service will continue in full force and effect. We welcome any comment, question and communication at hello@butterflycoins.org.